Gambling affords the proper metaphor here; I will lay my cards on the table. I believe that the prophet John, just like the Apostle Paul (2 Cor. 12:1; Gal. 1:12; 2:2; Eph. 3:3; Acts 16:9; 18:9), the Apostle Peter (Acts 10:17), gifted believers (1 Cor. 14:26, 30), and followers of Jesus (Matt. 17:9; Lk. 24:23; Acts 2:17) had visions and revelations from God. There were many prophets and prophetesses in early communities of believers (Acts 2:17; 15:32; 1 Cor. 11:4-5). What happens, however, when one sees visions and revelations and does not draw what is seen, but puts it into words? Some ancient religions would put their visions and revelations into pictures on papyri or stone monuments. Apparently earliest Israelite faith and earliest Christianity thought that prophetic visions should be put into words, not pictures and paintings; perhaps, faith is based upon words and not pictures. In one case, the prophetic book Obadiah begins “The vision of Obadiah“ and then continues with ”This is what the Sovereign LORD says about Edom — We have heard a message from the LORD.“ Both pagan monuments and papyri earlier than Obadiah contain visuals, drawings, and paintings to accompany religious texts. Or, Nahum 1:1, “An oracle concerning Nineveh. The book of the vision of Nahum the Elkoshite.“ Then this book of the vision of Nahum continues with text and words. The point is that images and scenes in visions must be rendered into words, and this process, in my judgment, involves the prophet’s choice of words and the decision of what to describe and what not to describe from the vision and its many scenes and colors. It is in this sense that I talk about Ezekiel’s and John’s involvement in the process of writing the content of their respective books and making choices about the wording, themes, and so on. It is similar to God’s allowing NT authors the right of their own vocabulary, themes, etc. in the books they author and compose. One of John’s favorite prophets was Ezekiel and his reliance upon Ezekielian imagery about metaphysical experiences (Ezek. 40:2 || Rev. 21:10) certainly indicates that John placed himself in a sphere of mysticism similar to Ezekiel’s. This 6th century Jewish prophet demonstrates that strict adherence to literalism is sometimes unnecessary and other times even unfeasible when studying writings within the prophetic genre. Even before noting how John alters and adapts some of the scenes preserved in the writings of this exilic prophet Ezekiel, we must note how Ezekiel himself reveals a non-literalistic outlook within his own material. A celebrated text in Ezekiel is his depiction of the “four living creatures” in Ezek. 1:4-14, and then a supplementary text in Ezek. 10:1-22. Aspects of the intriguing iconography from Ezekiel’s picture, including the ocular ornamentation (Ezek. 1:18; 10:12), is not our concern here. I do, however, find it very instructive for my point to notice the ease with which the Ezekielian depictions shatter any rigid sense of literalism. With these chapters of Ezekiel (1 and 10), we can readily discern that one of the prophet John’s most significant spiritual mentors had neither hesitation nor apprehension in depicting a heavenly scene without reflecting a rigid devotion to literalism. This is especially worthy of our attention since Ezekiel deals here with the “four living creatures” (Ezek. 1:5; cf. 1:13, 15, 19, 20, 21, 22; 3:13; 10:15, 17, 20.) who dwell at the ganglion of each and every activity of God, both earthly and supernal. Clearly the face of the ox has been replaced by the face of the cherub. Later Rabbis themselves could not tolerate Ezekiel’s disregard for literalism and created a tradition that has no basis within Scripture to solve the “problem” of the genre of prophecy having this kind of diversity. The Rabbis suggested that Ezekiel was bothered by the ox because it reminded him of the episode of the golden calf and idolatry (Exod.32), apparently overlooking the fact that the term for “calf” in Exodus 32:4, 8 is not the term for ox in Ezekiel 1:10. According to this Rabbinic “tradition,” Ezekiel asked God to remove the four faces of the oxen distributed across the four cherubs and replace it with the four faces of a cherub distributed across the four cherubs. What the Rabbis might have chosen as an alternative is to believe Ezekiel’s estimation in 10:22 when he wrote, “Their faces had the same appearance as those I had seen by the Kebar River.“ Even though the faces were clearly not literally identical in both chapters (1 and 10), since Ezekiel is not addicted to literalism in the genre of prophecy he could say with complete inspiration that the four living creatures had ”the same appearance“ in both chapters. Turning to the book of Revelation and John‘s perspectives on the four living creatures, we can see that as a Christ follower who writes within the genre of biblical prophecy John also does not have a slavish commitment to literalism when recording his visions from Patmos. For John, the four living creatures no longer exist in the form recorded by Ezekiel. Rather than accepting a straightforward reading of John’s prophecies, some dispensational scholars with an unwarranted devotion to literalism assert that the forms of the living creatures are identical in the time of Ezekiel and John. These writers attribute the “ostensible” differences between John and Ezekiel to the phenomenon of parallax, where one’s description differs from another based upon one’s location at the time of observation. Parallax, however, cannot explain all the significant differences between John and Ezekiel. John sees four faces (as in Ezekiel), but now, unlike Ezekiel, each creature has a single countenance, not multiple ones. The first living creature like a lion, the second living creature like an ox, the third living creature with a face like a human face, and the fourth living creature like a flying eagle. The concept of the four living creatures having “six wings,” clearly not the number four seen by Ezekiel, can only be traced back to Isaiah’s seraphim vision (Isa. 6:2-3). Six winged beings are seen nowhere else in Scripture except Isaiah 6 and Revelation 4. The close association of John’s imagery with Isaiah’s is furthermore demonstrated in the singular appearance of the Trisagion, “Holy, Holy, Holy,” again only in Isaiah 6 and Revelation 4. We don’t yet see things clearly. We’re squinting in a fog, peering through a mist. But it won’t be long before the weather clears and the sun shines bright! We’ll see it all then. This adaptable iconography of this Ezekielian “visions of God” (Ezek. 1:1), when “the heavens were opened” (Ezek. 1:1), provides an important example of the prophet’s visionary disinterest in literalism. These inspired presentations of heavenly scenes and supernal creatures, vouchsafed by prophetic images, are abused when contorted to fit within the limits of a narrow, unscriptural literalism. This made me think of an excellent book we read for one of my classes, “Mystical Theology” by Mark McIntosh. One of his main points is that any “mystical” experience in classic Christian tradition is always given for the purpose of revealing/teaching truth about God, which always means being able to put it into words, even if the original experience did not directly involve words. It’s a wonderful book that demystifies mysticism. Thank you for your comment and the helpful information from this book, otherwise unknown to me. The front cover is certainly interesting symbolism. 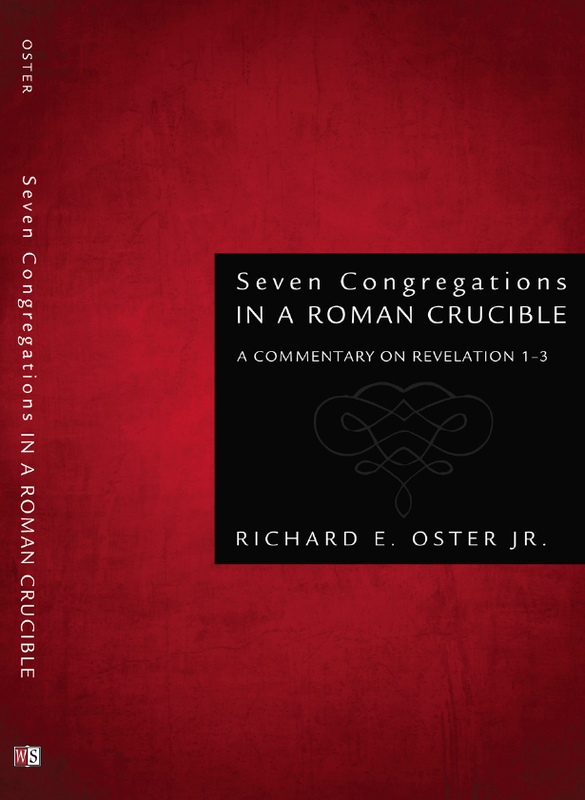 Is there a small part of Mystical Theology focused on the book of Revelation? Or, would one have to read through it to get the point you are making in this post? Does it, perhaps, contain a discussion of different views about the meaning of mysticism? Please continue to visit this blog and “spread the word” about it. Thanks! The book does not address the book of Revelation directly, that I recall, but it does address “revelation,” lower case, and it has lots on the meaning of mysticism and various views on that. It looks at how “a spiralling mutual distrust between spirituality and theology that lingers even today” developed in the medieval period, partly due to scholasticism’s rise. This led to a growing disconnect between subjective experiences (visions, e.g.) grounded in scriptural faith and intellectual understanding of doctrine. Over time some Christians began emphasizes the experiences themselves, but as the author shows, the people who are known as “mystics” always downplayed the experiences and emphasizes the teachings they were given through the experiences. E.g., Teresa of Avila did not share her personal experiences until she was practically forced to write her spiritual autobiography by her higher-ups, and they asked her to so that others could learn and grow from them. Until then, she simply taught based on scripture and general understanding. And in her writings, she continually emphasizes that the experiences themselves are not the point, the love of God is the point, and she just happened to be the recipeint of it in these particular ways. “As personal and intimate as each believer’s encounter with that divine reality might be, the meaning of the encounter is communal and cosmic.” (p.62) The purpose of such encounters is always to grow not just the person’s faith, but the faith of others they can share it with…..which always means sharing in words. Which is why your post brought it to mind. Not in the least. But just as John’s writings in Revelation have been grossly misunderstood by many in the church, her writings were also misunderstood, and this sculpture has been misunderstood, too. If you already know any info (don’t need to research it for me) about the sculpture I would enjoy knowing that, since it struck me as a sculpture that definitely needed interpretation, at least to me. Perhaps I shall look more into the writings of Teresa. Here is a link that gives a good historical commentary on the statue itself, why it was created when it was and where it was: http://www.pbs.org/wnet/powerofart/berbios.php. As for Teresa herself and what inspired the statue, she lived a life of intense prayer as well as being very active in teaching and founding and reforming monasteries. Her faith itself, if you read her writings, was orthodox. But her experiences of God’s love (which the sculpture depicts–this is an angel piercing her heart with a spear of fire representing God’s love that consumes her) went beyond what some in the church were comfortable with and could make sense of, which led to her being tried for heresy during the Inquisition. Perhaps heresy was charged also because she was a woman and was extremely influential. (She was the mentor of John of the Cross.) At any rate, she was later canonized and then later named a Doctor of the Church, because her teachings are in fact scriptural and powerful. One of the best books I have found about her (not by her) is “Fire Within,” by Thomas Dubay. It also discusses John of the Cross and his writings. Hope that helps. Thanks for the further information and especially the link. Always helpful.